Maraetai is part of greater Auckland City but has a charming seaside village atmosphere separate from the hustle and bustle of city life. It is situated east of central Auckland about 45 minutes drive or 35 minutes by ferry. 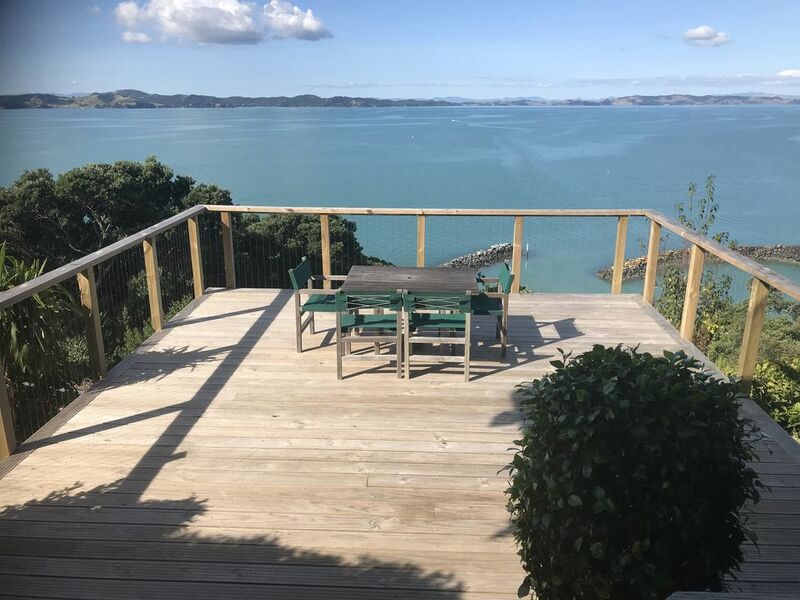 Local facilities include the nearby Maraetai Boat Club (just a 3 minute stroll along the waterfront) cafes and restaurants, beautiful walking and cycling tracks along the coast, parks or in the nearby forest. Try the international golf course just 5 minutes down the road. The many water activities such as yachting regattas, speed boat races, triathlons or just people enjoying the water are visible from any of the many decks available for you to relax on. Maraetai is a great place to relax, unwind and recharge your batteries. Everyone who comes wishes they could stay longer. It feels like Paradise they say - and they're not wrong! Watching the moon rise over the nearby Hauraki Gulf Islands and reflecting in the shimmering waters is always a breathtaking experience. For the early risers, pre-sunrise can also be a spectacular if brief moment when conditions are right. A relaxing breakfast on the deck in the morning sun is special. Bernie ‘s hospitality & rental space was one of the best during our New Zealand travels. The eastward views over the ocean are fantastic! Although Maraetai is a fair distance from Auckland, the adjacent ferry service at Pine Habour made the trip into the city very stress free. We highly recommend this property. Worked very well for us nice and handy to the boating club. Great property, quite and beautiful views. A beautiful location, scenery and homely feel to the property with private access. The accommodation was generous. All the mod-coms. Heat pump. Wi-Fi. TV. Microwave and full kitchen with oven and stove. Big refrigerator , but no freezer. So no night-time ice cream raids. Good for my weight though. The views are spectacular. The 'bach' is a separate apartment below the owner's. It is located in a high-end neighbourhood on the headland of Maraetai Beach. It was quiet and peaceful, with Tuis flitting through the pohutukawas and native bush. Serenity on the shore.